On September 5, the commission of inquiry on Burundi published a report in Geneva. It again portrays a bleak situation of human rights violations. The Burundian president is implicated. For some observers, Doudou Diène, president of this commission has crossed the Rubicon. Even his predecessor, Fatsah Ouguergouz, had not reached this milestone. Relations between Bujumbura and this commission, which have never been good, are likely to get worse. 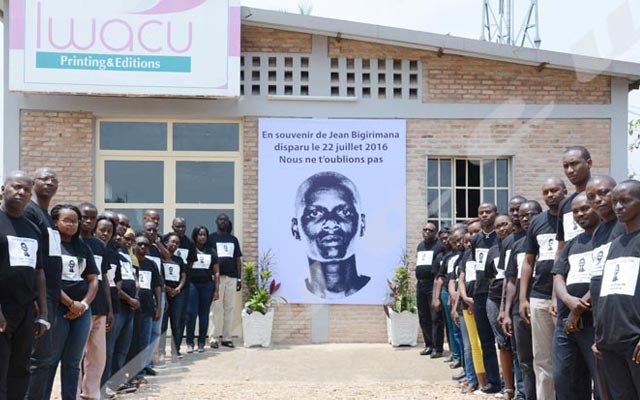 Bujumbura had even threatened to sue the members of this commission. For Mr. Diène, the report is not an abstract, poetic, or literary document. “Apart from the identification of rights violations, the mandate includes the identification of perpetrators”, hence the question of knowing whether or not the President of the Republic is also on the list of perpetrators of those crimes. The list remains confidential. It will be unveiled if a court that guarantees a credible trial comes to light. Created in 2016, this commission denounced only people close to the government and the Imbonerakure, the youth wing of the ruling party, as sources of human rights violations. They are implicated again. The report speaks about the existence of an informal structure, the “Committee of Generals” which decides on policy and security orientations. This entity would include heavyweights of the state apparatus. They are the Minister of Public Security, the Director General of the National Intelligence Service, the Chief of Staff in charge of the police that guards the president, the head of the civil cabinet as well as the Secretary General of the ruling party CNDD-FDD. They would be the ones to decide the fate of the opponents. As for the Imbonerakure, the commission believes that the executive power condones their actions. “The acts of the Imbonerakure are attributable to the state because it does not punish them,” said Françoise Hampson, member of the commission. She points an accusing finger at the police, intelligence services and the Imbonerakure as the main perpetrators of the violations. Nevertheless, she says there are fewer testimonies incriminating the National Defense Forces. The chairman of the commission warns that Burundi is entering a turning point. With the 2020 elections on the horizon, Doudou Diène warns the international community. “It is during electoral processes that the most serious violations of human rights are committed. The commission considers that this period requires a greater vigilance not only in the monitoring but also in the taking of measures of prevention “. The continuation of the mandate of this commission is fundamental, said Doudou Diène as a plea for the renewal of the commission’s mandate which ends with September. The report will be presented in its entirety on 17 September before the Human Rights Council. According to one observer, the scope of the report remains uncertain. Everything depends on what the UN authorities will do. The risk is high that Bujumbura becomes more flexible. For the president of the Burundian coalition for the international criminal court, it is normal for the chief justice and supreme commander of the police to be implicated. He adds that it is important that the mandate of the commission be renewed so that the crimes are well documented by a competent mechanism. For the minister in charge of human rights, affirming that the President of the Republic stirs up hatred and discord while he ensured the national reconciliation by integrating all the ethnic components at the level of his palace, his cabinet and administration proves that this report is politically motivated. Martin Nivyabandi says the commission’s mission is to tarnish the image of the country’s institutions in order to justify any requirement for the intervention of international justice. It is a violent reaction to the failure of the attempt to overthrow institutions. The spokesman for the local civil society PISC Burundi, says he is outraged at a ludicrous fabrication intended to smear and insult the President of the Republic and any Burundian proud of the sovereignty of their country. Hamza Venant Burikukiye says “it’s just provocation”. According to him, it is up to all Burundians to decry this unhealthy maneuvering against Burundi. The Vice President of Sahwanya FRODEBU party believes that by publishing such a report, the commission of inquiry wants to empower the government of Burundi. 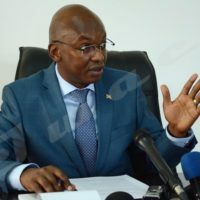 Léonce Ngendakumana thinks it is also to prevent a new tragedy that would fall on Burundi with a failure of the inter-Burundian dialogue that is on the horizon and if the electoral forcing continues. He asks the government to cooperate with the United Nations and these commissions of inquiry in order to have results that do not compromise the peace in this country. Written by Arnaud Igor Giriteka and Agnès Ndirubusa.